Revel this Easter in the tropical bliss which is the Maldives. 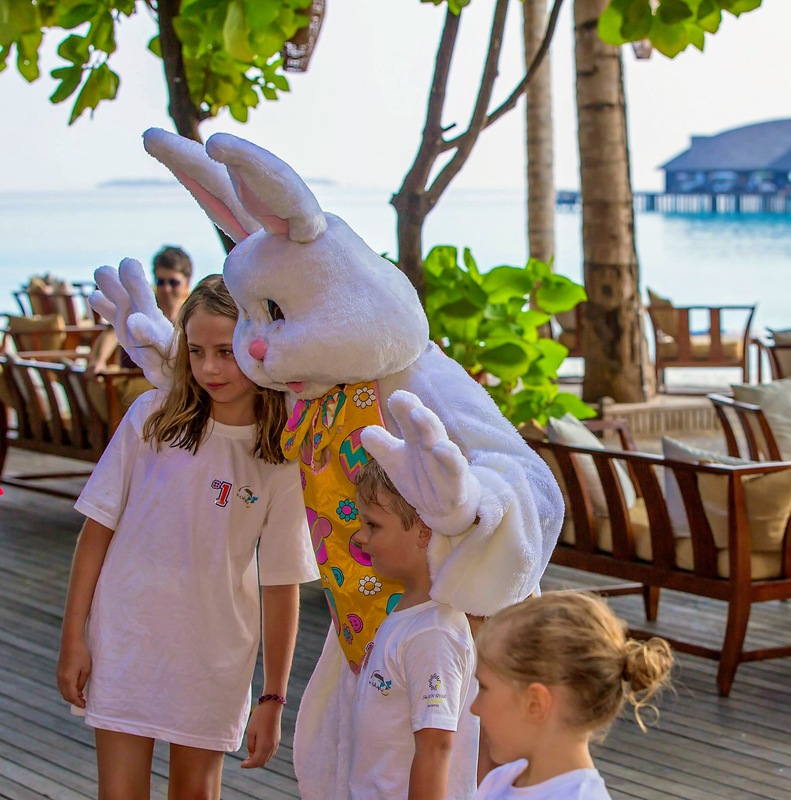 Let this Easter be a time of joy and fun spent at A Sun Siyam Resort with this offer; Easter Family Package, an offer filled with extras. Book today till 30th of April and you can travel from now till the end of November 2017. Simply book away for guaranteed happy memories with your loved ones as advanced reservation is essential. An idyllic resort for both families and couples. Indulge yourselves in the ‘Egg-xplosive Easter Offers’ at the award winning spa and stand the chance to win some excellent presents to all guests who reserve any of the following special treatments over the Easter holiday period. The treatments range from Egg-rything chocolatey including a scrub, bath, drinks, massage, moisturizing of course, with chocolate and a 15% discount or Eggs-xeptional Family Offer including divine treatments of your choice from the child and adult spa menu for blissful peas in a pod treatment with 10% discount. Offers are available from 14th April to 18th April only. Let your little ones laugh with glee as they take part in the fun activities from 13th to 18th of April, such as Fun Camping where kids will make their own campsites with camping games and activities prepared for them or Easter Bunny Arrival where kids will join Bunny for around through the resort and get delicious candies and many more. Tantalize your taste buds on the 16th of April at Iru Restaurant with the Special International Easter Buffet with Special Cocktail Promotion at 18:00 – 22:00. Or at Waters Edge with Wine & Cheese Evening with Easter Party DJ and Special Cocktail Promotion at 21:30 – 01:00. An extensive program is on offer which includes rejuvenating Chocolate Bliss Spa Package for couples with chocolate filled body scrub, Massage and Bath and de-stressing treatments especially for teenagers including chocolate massage, chocolate wrap and chocolate bath. More fun activities like photo booth and Easter Egg Hunting for Kids. 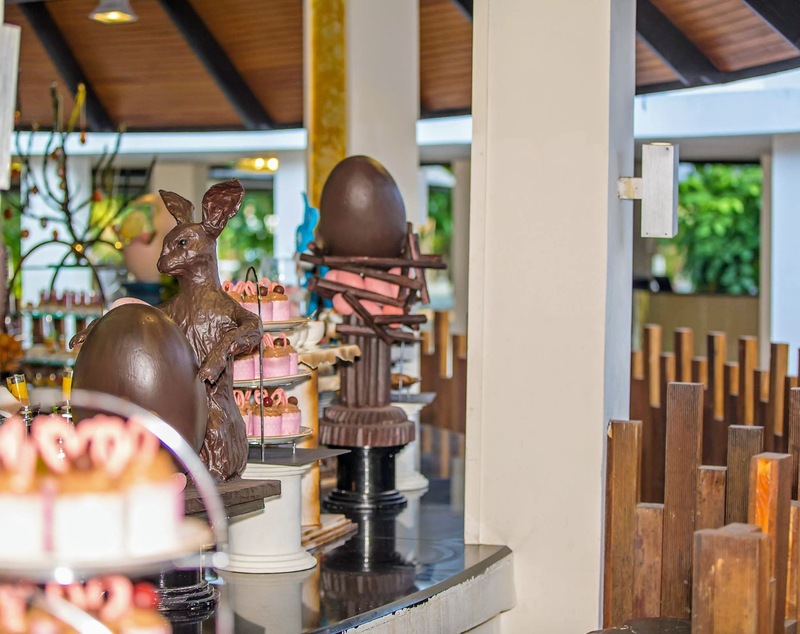 Delight in the Easter Special Family dinner at the Plankton Grill beach with 50% off for kids below 12 years and kids below 5 years free of charge. Renowned for being an idle space for both couples and families. Enjoy yourselves with the laidback charm of Sun Aqua Vilu Reef Maldives. Entice the gourmet within you and dine away at the special Surf and Turf Buffet at Well-Done restaurant. Let your kids enjoy themselves thoroughly with fun activities such as Easter Egg Rolling or Pin the Tail on the Easter Bunny and many more. Allow yourself to be treated like the wonder you are by indulging in the Choco Easter Delight package including Hydrotherapy, Chocolate Almond Scrub, Chocolate, Ginger & Cinnamon Wrap, Chocolate Butter Massage (Choice of Balinese way or Aroma Massage) and finish off with a Floral Milk Bath and hot Chocolate & Egg Shape Chocolate Bar. There is something for everyone at each of our properties. The vibe is filled with cheer, mirth and fun programs to accommodate various tastes, always keeping in mind our cherished guests. For those who are yet to book there is still time so book away for an Easter you won’t forget! Or if you plan to travel later in the year, take the advantage of the Easter Family Package before the 30th of April.